Per his initial military service record (regimental no. 2163A), Cecil Condon was born at Blayney, N.S.W. He gave his age as 19 years and 5 months, his marital status as single, and his occupation as horsebreaker. His description on his Certificate of Medical Examination was 5 feet 9 ½ inches tall, weight 10 stone 7 lbs., with a dark complexion, brown eyes, and brown hair. His religious denomination was Methodist. He claimed to have no previous military service. He signed an initial Application to Enlist in the Australian Imperial Force form, and undertook a preliminary medical examination, at Bathurst on 28th October 1915 (the day the Coo-ees marched from Bathampton to Bathurst). His mother sent a telegram giving her consent on 29th October 1915. He was attested by Captain A. C. Eade at Bathurst on 29th October 1915 (the day the Coo-ees marched from Bathurst to Yetholme). He did not complete his medical examination until 13th November 1915 at Liverpool. He was charged with being absent from parade on 9th & 10th February 1916, and forfeited 2 days pay, and was fined 10 shillings. The Bathurst Times reported on 11th February 1916 that a farewell held for Trooper Condon had been held at the Blayney Masonic Hall, and that after being presented with a gold medal, and a wristlet watch, and a pair of knitted socks, he responded that ‘he was not a gifted speaker, but he hoped to do some good fighting when he reached the front’. On his embarkation roll his address at time of enrolment was Hill Street, Blayney, N.S.W., and his next of kin was listed as his mother, Mrs Elizabeth Yeo, at the same address. On 22nd March 1916 Trooper Condon (along with fellow Coo-ees Trooper Kennedy and Trooper Sullivan) departed Sydney on the HMAT A4 Pera, with the 15th reinforcements for the 6th Light Horse Regiment. After arriving at Suez in Egypt, Trooper Condon marched into the 2nd Light Horse Training Regiment at Tel-el-Kebir on 22nd April 1916. On 6th July 1916 he was taken on strength of the 2nd Light Horse Double Squadron at Serapeum, Egypt. On 19th September 1916 Trooper Condon was admitted to the 3rd Field Ambulance suffering from Diarrhoea. He was discharged from hospital and returned to his unit on 22nd September 1916. On 2nd November 1916 Trooper Condon was transferred to the 4th Australian Camel Regiment at Abbassia, Egypt. On 7th February 1917 he was transferred to the 18th Company Imperial Camel Corps from the 4th Australian Camel Regiment. On 13th April 1917 Trooper Condon was detached to the School of Cookery on a course at Ismailia. He re-joined his unit on 29th April 1917. Trooper Condon was sent to a rest camp at Port Said on 9th March 1918. He re-joined his unit on 8th April 1918. On 10th June 1918 Trooper Condon was sent to the School of Instruction at Zietoun. On 6th July 1918 Trooper Condon returned to his unit from the School of Instruction, and was transferred to the 14th Light Horse Regiment. Trooper Condon was sent to a rest camp at Port Said on 16th December 1918. He re-joined his unit on 4th April 1919. Trooper Condon departed Suez, Egypt, aboard the H.T. Dongala on 24th July 1919, commencing his return to Australia. He arrived in Australia on 28th August 1919. He was discharged termination of period of enlistment on 21st October 1919. Australia War Memorial. First World War Embarkation Roll, Cecil Condon, HMAT Pera A4, 22nd March 1916. Per his initial military service record (regimental no. 2196), Patrick Joseph Kennedy was born at Braidwood, N.S.W. He gave his age as 24 years and 6 months, his marital status as single, and his occupation as labourer. His description on his Certificate of Medical Examination was 5 feet 8 inches tall, weight 140 lbs., with a fair complexion, blue eyes, and fair hair. His religious denomination was Roman Catholic. He claimed to have 12 months military service in the Australian Light Horse. Patrick Joseph Kennedy was named in The Bathurst Times as one of four recruits who came forward to join the Coo-ees at the recruiting meeting held at Machattie Park in Bathurst on the evening of 28th October 1915. He undertook a preliminary medical examination, and signed a preliminary Application to Enlist in the Australian Imperial Force form, at Bathurst on 29th October 1915, the day the Coo-ees marched from Bathurst to Yetholme. He completed his medical examination, and was attested by Captain A. C. Eade, at Lithgow on 2nd November 1915 (the day the Coo-ees rested at Lithgow). After completing the Coo-ee March he went to Liverpool Camp as reinforcement for the 2nd Light Horse Regiment. On his embarkation roll his address at time of enrolment was Reidsdale, Braidwood, N.S.W., and his next of kin is listed as his father, Richard Kennedy, at the same address. On 22nd March 1916 Trooper Kennedy (along with fellow Coo-ee Trooper Sullivan) departed Sydney on the HMAT A4 Pera, with the 15th reinforcements for the 6th Light Horse Regiment. After arriving at Suez in Egypt, Trooper Kennedy marched into the 2nd Light Horse Training Regiment at Tel-el-Kebir. On 6th July 1916 he was taken on strength of the 2nd Double Remount Squadron at Serapeum, Egypt. On 2nd November 1916 Trooper Kennedy was transferred to the 4th Australian Camel Regiment at Abassia, Egypt. On 8th February 1917 he was transferred to the 4rd ANZAC Battalion of the Imperial Camel Corps at Abassia, Egypt. On 11th January 1918 Trooper Kennedy was detached for duty at Battalion Headquarters. On 19th July 1918 he was transferred to the Australian Camel Field Ambulance at Surafend, Egypt. On 28th July 1918 he was transferred to the 5th Light Horse Field Ambulance at Surafend, Egypt, and appointed a Driver. On 27th June 1919 Trooper Kennedy was transferred to the Australian Base Depot at Port Said, Egypt. On 14th July 1919 he departed Alexandria aboard H.T. Magdalena for leave in England. 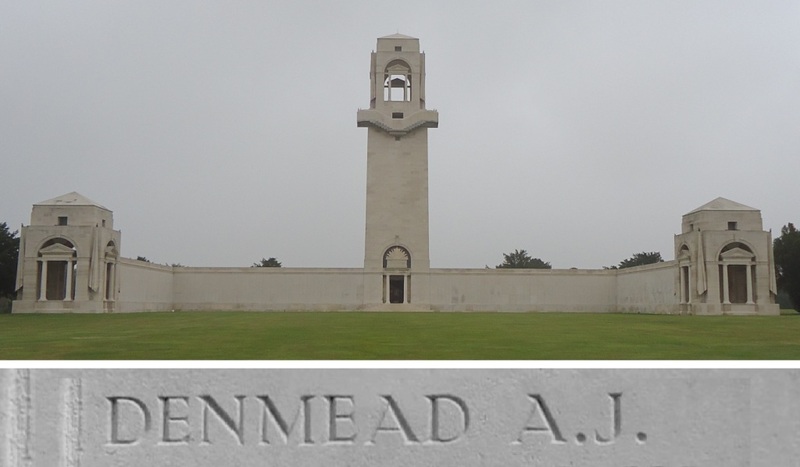 On 25th September 1919 Trooper Kennedy departed Devonport, England, aboard the H.T. Port Denison, bound for Australia. He arrived in Australia on 17th November 1919. Trooper Kennedy, along with several other local soldiers, was welcomed home at a reception held at the schoolhouse by the residents of Reidsdale on Wednesday night, 19th November, 1919, at which there was a banquet, speeches, and dancing. He was discharged Termination of Period of Enlistment on 10th December 1919. Australian War Memorial. First World War Embarkation Roll, Patrick Joseph Kennedy, 2196. Per his initial military service record (Depot), Frank Black was born at Cumberland, England. He gave his age as 42 years, his marital status as single, and his occupation as laborer. His description on his Certificate of Medical Examination was 5 feet 2 inches tall, weight 130 lbs., with a fair complexion, blue eyes, and light brown hair. His religious denomination was Church of England. He claimed that he had no previous military service. His postal address on his initial Application to Enlist in the Australian Imperial Force form was ‘Grafton’. He completed his medical examination at Wellington on 28th October 1915, then travelled to Bathurst to join the Coo-ees that same day. He was attested by Captain A. C. Eade at Bathurst on 28th October 1915. Frank Black was named in The Bathurst Times as one of four recruits who came forward to join the Coo-ees at the recruiting meeting held at Machattie Park in Bathurst on the evening of 28th October 1915. On 30th December 1915 Private Black was charged with being absent from Parade on 29th and 30th December 1915. He was fined 10 shillings. On 23rd January 1916 Private Black was charged with being absent without leave from 21st to 23rd January 1916. He was fined 15 shillings. On 28th January 1916 Private Black was charged with being absent without leave on 27th and 28th January 1916, when he was arrested by the civil police for being drunk in Sydney. He was fined 15 shillings. On 6th February 1916 Private Black was charged with being absent without leave from 1st to 6th February 1916. He was recommended to be discharged. On 10th February 1916 Private Black was discharged from the A.I.F. with his services no longer required. Sixteen months later, Frank Black reenlisted in the A.I.F. on 20th June 1917 at Toowoomba, Queensland. He made no mention of his previous service on his enlistment papers. On his embarkation roll Private Black’s address at time of enrolment was G.P.O. Clifton, Queensland, and his next of kin is listed as his brother, James Black, 43 Queen’s Street, Cleatormore, Cumberland, England. Issued with Regimental no. 3747, Private Black departed Sydney on the HMAT Miltiades A28 on 2nd August 1917, with the 10th reinforcements for the 47th Battalion. He disembarked at Glasgow, Scotland, on 2nd October 1917. On 3rd October 1917 he marched into the 12th Training Battalion at Codford, England. On 27th December 1917 he departed Southampton, England, bound for France to reinforce the 42nd Battalion. He marched into the Australian General Base Depot at Rouelles, France on 28th December 1917. On 31st December 1917 Private Black was charged with being absent without leave from 0900 on 29th December 1917 till 0700 on 30th December 1917. He was also charged with being absent without leave from 0800 on 30th December 1917 till 0700 on 31st December 1917. He was fined 4 days pay. On 5th January 1918 Private Black was taken on strength of the 42nd Battalion when it was training at Locre, France. On 20th January 1918 Private Black was sent to the 11th Australian Field Ambulance sick with debility, and he was transferred to the 2nd Australian Casualty Clearing station. On 23rd January 1918 he was transferred to the 5th General Hospital in Rouen, Franc. On 10th February 1918 he was transferred to the 6th Convalescent Depot at Etaples, France. On 12th February 1918 he was transferred to the Australian General Base Depot at Rouelles, France, arriving on 16th February 1918. On5th March 1918 Private Black departed Le Harve, France, bound for England. He arrived at Weymouth on 6th March 1918, and marched into the No. 2 Command Depot. On 15th April 1918 Private Black departed England aboard the H.T. Marathon. He arrived in Australia on 12th June 1918, and was discharged medically unfit with chronic rheumatism on 14th July 1918. Per his military service record (Depot), Percy Edward Blackwood was born at South Melbourne, Victoria. He gave his age as 29 years, his marital status as single, and his occupation as labourer. His description on his medical was height 5 feet 10 inches tall, weight 154 lbs., with a dark complexion, blue eyes, and brown hair. His religious denomination was Church of England. He claimed that he had no previous military service. He completed his medical on Wellington on 27th October 1915, then made his way to catch up with the Coo-ees at Bathurst, where he was attested by Captain Eade at Bathurst on 28th October 1915. The National Advocate named Percy Edward Blackwood as one of those who responded to the call made by the Coo-ees for more recruits at Bathurst. After completing the march he went to Liverpool Camp as reinforcement for the 5th Depot Battalion. On 17th November 1915 Private Blackwood went before a Medical Board where he was deemed as unfit for military service due to deficient teeth. Private Blackwood was discharged medically unfit on 29th November 1915. Percy Blackwood re-enlisted in the AIF on 21st December 1915 at Casula, N.S.W. He was attested at Casula on 23rd December 1915, and assigned to Depot Battalion. He was allocated as a reinforcement for the 20th Battalion on 20th January 1916. On 5th February 1916 Private Blackwood was charged with being absent without leave from 2nd to the 5th February 1916. He was fined 4 days pay. On 19th March 1916 Private Blackwood was charged with being absent without leave from 17th to 19th March 1916. He was fined 3 days pay. On 4th April 1916 Private Blackwood was charged with being drunk and absent without leave on 3rd April 1916 in George Street, Sydney. He was charged and fined 10 Shillings, and his Commanding Officer also recommended he be discharged. On 6th April 1916 Private Blackwood was discharged services no longer required. Percy Blackwood re-enlisted in the AIF again on 26th October 1916 at Dubbo, N.S.W. He was assigned to Dubbo Depot Battalion until 3rd November 1916, when he was transferred to Liverpool. He was allocated as a reinforcement for the 3rd Battalion. On his embarkation roll his address at the time of his subsequent enrolment was P.O., Cobar, N.S.W., and his next of kin is listed as his father, J. Blackwood, Montague Street, South Melbourne. Private Blackwood (regimental no. 6957) departed Sydney on the HMAT A24 Benalla on 9th November 1916, with the 23rd reinforcements for the 3rd Battalion. On 8th December 1916 he was charged with being absent without leave for 6 hours on the 4th of December 1916 at sea on the A24 Benalla troopship. He was fined 3 days pay. Private Blackwood disembarked at Devonport, England, on 9th January 1917. He was sent to the 1st Training Battalion at Lark Hill, England. On 27th February 1917 Private Blackwood was charged with failing to answer defaulter’s parade on 17th February, 24th February, and 25th February 1917. He was awarded 7 days field punishment number 2. On 5th May 1917 he was charged with being absent from Headquarters fatigue from 1430 till 2200 on 4th May 1917. He was awarded 1 day field punishment number 2, and forfeited 2 days pay. On22nd May 1917 Private Blackwood departed Folkestone, England, bound for France. On 10th June 1917 Private Blackwood was taken on strength of the 3rd Battalion when it was resting at Buire, France. On 16th August 1917 Private Blackwood was charged with being absent without leave from 2100 on 12th August 1917 till 1830 on 13th August 1917. He was awarded 7 days field punishment number 2 and fined 9 days pay. On 18th January 1918 Private Blackwood was charged with being absent without leave from 1200 on 31st December 1917 till he surrendered himself to the NCO in charge of the Bailleul Town Guard at 0640 on 1st January 1918. He was fined 12 days pay. On 7th February 1918 Private Blackwood went on leave to England. On 19th April 1918 Private Blackwood went before a Field General Court Martial charged with being absent without leave over furlough, from 0730 on 22nd February 1918 till apprehended by the Civil Police in London on 15th March 1918. He was also charged with being absent without leave from 9 a.m. on 12th April 1918 to 10 a.m. on 13th April 1918. He was awarded 90 days field punishment number 2 and fined 110 days pay. On 30th July 1918 Private Blackwood went before a Field General Court Martial charged with desertion while on active service. He had been absent without leave from 2 p.m. on 12th July 1918 to 6.30 pm on 20th July 1918. He was found guilty and sentenced to 10 years penal servitude. He was sent to the Number 7 Military Prison at Calais, France. On 5th October 1918 Private Blackwood’s sentence was commuted to 2 years in prison. On 24th March 1919 Private Blackwood went before a Field General Court Martial charged with joining in a mutiny at the Number 7 Military Prison by ‘continuing … not to fall in after having been warned by proper authorities’. He was found guilty and sentenced to 11 years penal servitude. On 18th April 1919 Private Blackwood was transferred to Portland Convict Prison in England. On 9th September 1919 Private Blackwood departed England aboard the H.T. Raranga. He arrived in Australia on 29th October 1919, and was discharged services no longer required on 30th October 1919.